Whether you need a custom installation or mass production, we can help. We are experts in producing clean and accurate cuts in felt, and in fabricating a wide variety of products including wall coverings, desk screens and room dividers, industrial parts, handbags, tabletop items, lighting, and more. We provide the following services: laser cutting, CNC knife cutting, die cutting, adhesive lamination, sewing, installation of hardware, and more. 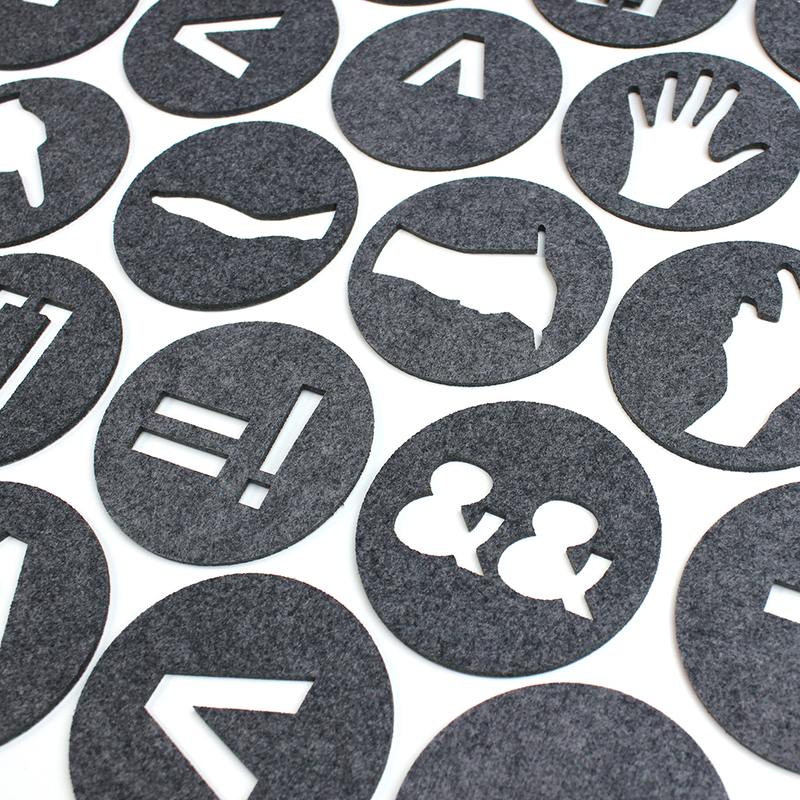 Please email us at CONTACT@BOSSFELT.COM if you are interested in discussing the details of your project. PROCESS: Die cut felt sewn onto hat. PROCESS: Laser cut, laminated, and die cut felt.